All the latest news about exploring landscape painting. 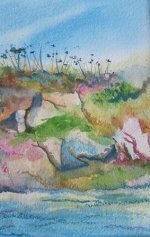 Continue reading "Landscape Painting Online"
See where Marion Deacon's paintings are being exhibited. Continue reading "The Artist's ability to be "